On 9 September, U2 released their new album, Songs of Innocence, but not quite in the normal style: they are offering it as a free download to all 500m iTunes users. Lead singer Bono described the release as “kind of mind blowing”. He said: “The most personal album we’ve written could be shared with half a billion people — by hitting send.” U2’s outreach had previously been no lesser in scale — their last album, No Line on the Horizon, sold more than 5m copies worldwide after its release in 2009. Despite this, Bono has previously expressed his fear that the notion of an album is “an almost extinct species”. U2 are not the first to respond to the changes in the music industry by finding new and unconventional ways of sharing their work with fans. In October 2007, Radiohead pre-released their new album, In Rainbows, and let their fans decide how much to pay for the download. 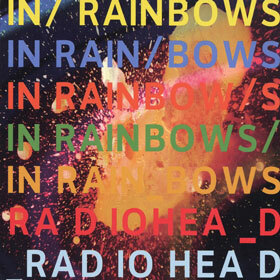 The “pick your own price” (PYOP) offer for In Rainbows ended on December 10 2007, and the album was commercialised subsequently, in January 2008. The exact number of people who downloaded In Rainbows through the PYOP offer and how much they paid for it remains a mystery. In some recent research, my co-authors Marc Bourreau, Sounman Hong and I investigated the effect of the PYOP offer on Radiohead’s subsequent album sales in the US. To our surprise, we found that by introducing the PYOP offer, the album obtained higher digital sales through traditional distribution channels (iTunes for example) than our empirical methods showed they would have obtained in the absence of the offer. We also found that the offer had no significant effect on the subsequent CD sales. It’s unclear how successful the PYOP offer was in generating direct revenues, as we don’t know what listeners ended up paying to download the album with this offer. But even in the extreme case that all listeners decided not to pay at all, the offer had a positive impact on the band’s overall sales revenues due to its positive impact on subsequent digital sales. This is intriguing, since the PYOP download of In Rainbows is a perfect substitute to the digital album subsequently distributed through traditional channels. If a listener downloads the album with the PYOP offer, we would not expect her to purchase and download it again, say, from iTunes. This would then imply lower digital sales through traditional channels, but the results show the opposite. We attribute this surprising success to market expansion through vast media attention. From day one, the PYOP offer was perceived as a very innovative strategy, receiving remarkable media coverage. The effect of such free advertising must have dominated any negative effect the offer may have generated. Still, Radiohead’s PYOP success should be looked at with a broader lens, and in the context of other similar cases. For example, similarly as in the case of U2’s recent release, Nine Inch Nails (NIN) offered their album, The Slip, for free in May 2008. Listeners cannot and do not pay for the download, and the offer is still valid today — you can download The Slip for free or pay US$9,90 to buy it from iTunes. This did not significantly affect CD sales, but had a negative impact on the sales of the digital album. The offer was unsuccessful in terms of generating overall sales revenues. Having said that, it wasn’t necessarily a bad strategy. Perhaps the free offer enabled new listeners to “sample” NIN music and subsequently increased their listener base or concert revenues. In both cases, though, the unique PYOP or the free offer of the digital album did not have a significant effect on CD sales. This confirms the common supposition that the markets for digital and physical albums are segmented. But since the proportion of CD sales in total sales is declining rapidly over time, predictions on the digital market’s response to various strategies will be all the more important. We can’t make general conclusions about whether or not PYOP or similar options are the right business model in the age of digitalisation. But it does seem clear that it is possible to make more subsequent sales by making music occasionally available (almost) for free. Also, it probably pays to adopt innovative strategies in an age where attention is increasingly scarce. It will be interesting to observe the impact of U2’s recent free giveaway, and what it tells us about the place of such unique marketing strategies, and the place of music, in the world today. How much did Apple pay U2 for appearing at the launch? Apple didn’t pay them a cent for using it as a launch feature? Love the concept but not sure this is a clean example compared to what Radiohead did……. This kind of thing only works for big names that don’t actually need it to work. Whether U2 sell 1 or 1 billion of their next album won’t make a significant difference to their life. The bands mentioned are only in this position because the old style of music publishing made them what they are today. I saw an interview with Andy Wier, who wrote The Martian (brilliant scifi book, if you haven’t read it, make it a priority to do so) and it had the ideas in this article from the exact opposite view – he gave it away for free on his site and it enjoyed modest success, but some people wanted to read it on their Kindles, so he made it $0.99 on Amazon – not after money – just as a convenience for his readers. Amazon’s engine did its magic and it rose to the top of scifi best sellers list, and next year will be a movie starring Matt Damon. 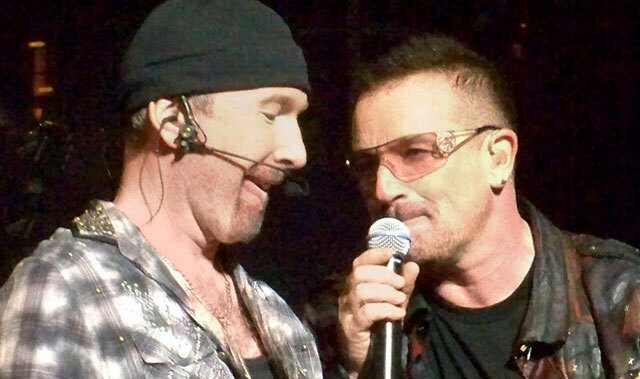 Yeah, Bono said Apple paid them. That embarassing forced dialogue between Cook and Bono will haunt me for the rest of my days. It was cringe-worthy. Corporate rock! Past their sell by date! Belong on the bottom of the ocean! Maybe so… but “haunt for the rest of your days”? I do wonder how many would react if Google had done this? When I read “brilliant scifi book, if you haven’t read it, make it a priority to do so” I grabbed a copy from Amazon immediately. Now I can only concur with your sentiment. I couldn’t put it down, pulled an all nighter to finish it without even noticing. Bad move on Apple’s part. Not everyone in the world appreciates U2 sitting in their iTunes purchases list. Saw a certain advert for Google music with Chuck Billy from Testament, just asked him what music he liked. It was awesome, Chuck Billy is awesome and I respect Google more because they know what the True best Thrash Metal band is.